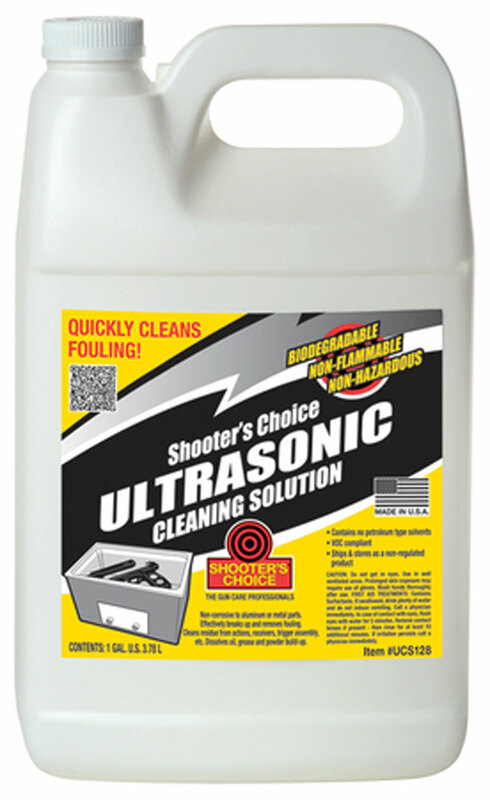 Ultrasonic Cleaning Solution is Especially Formulated To Work in Ultrasonic Cleaning Tanks. Non-corrosive to aluminum or metal parts. Effectively breaks up and removes fouling. Cleans residue from actions, receivers, trigger assembly, etc. Dissolves oil, grease and powder build-up. Non-corrosive to aluminum or metal parts. Effectively breaks up and removes fouling.